High Court Bombay job invites Application for the-post of 02 Non-Judicial Member of State-Consumer-Disputes Redressal Commission-Maharashtra. Apply before 04 November 2016-. Educational Qualification :- Bachelor degree from a university recognized by UGC with ability-integrity and standing and have adequate knowledge and-experience of at least ten years in dealing-with problems relating to economics-law, commerce, accountancy-industry, public affairs or administration-consumer disputes and good knowledge of computer-applications and work on computer. Application Form :- Prescribed application format can be obtained from the office of-State Commission at Mumbai and its Circuit Benches at Nagpur & Aurangabad-as also all the offices of District Forums in the-State of Maharashtra by payment of Rs. 100/- for each set. 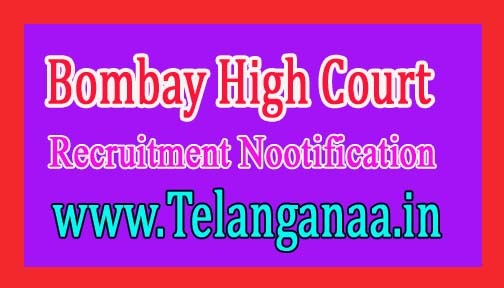 How to Apply Bombay High Court Vacancy :- Interested Candidates may apply in prescribed application form (Triplicate)-along with attested copies of required documents send to the Registrar (Admin)- State Consumer Disputes Redressal Commission-Maharashtra, Old Administrative-Staff College Premises, Room Nos.1, 2, 5 & 6, Opp. C.S.T.-Hajarimal Somani Marg, Mumbai – 400 001 on or before 04.11.2016.